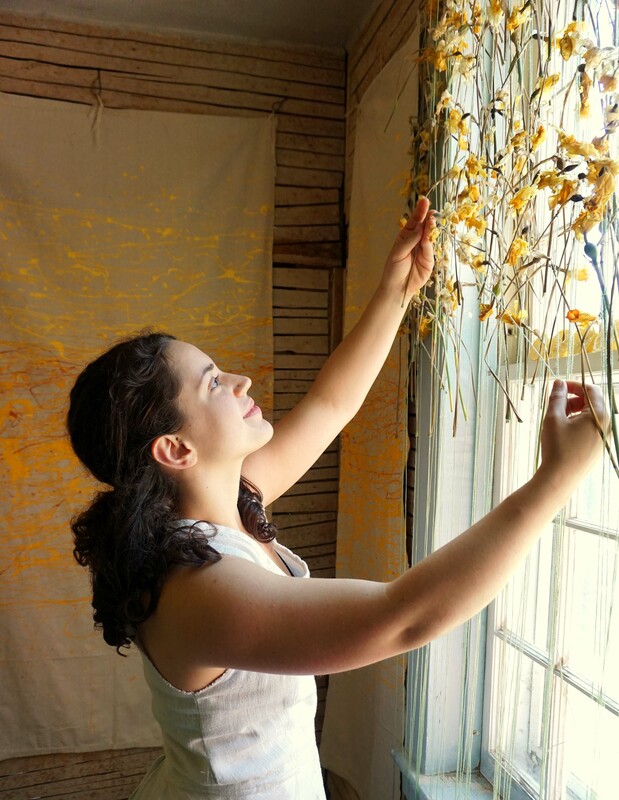 Threads and Thresholds began in the spring of 2014 with an idea between Hannah Dennison and Olivia Gay for an art installation in the historic Kent Museum, Calais, Vermont using the theme of shared threads of history and life’s thresholds as its direction and frame. 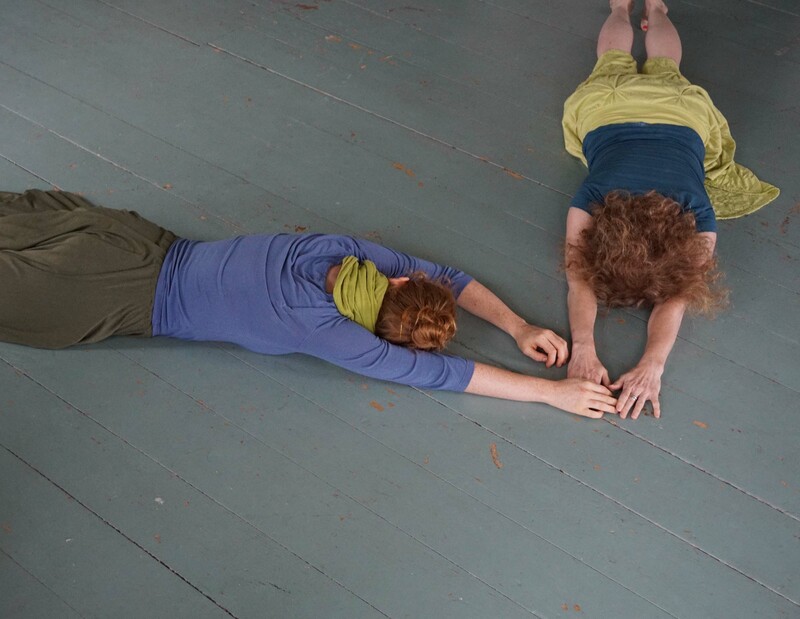 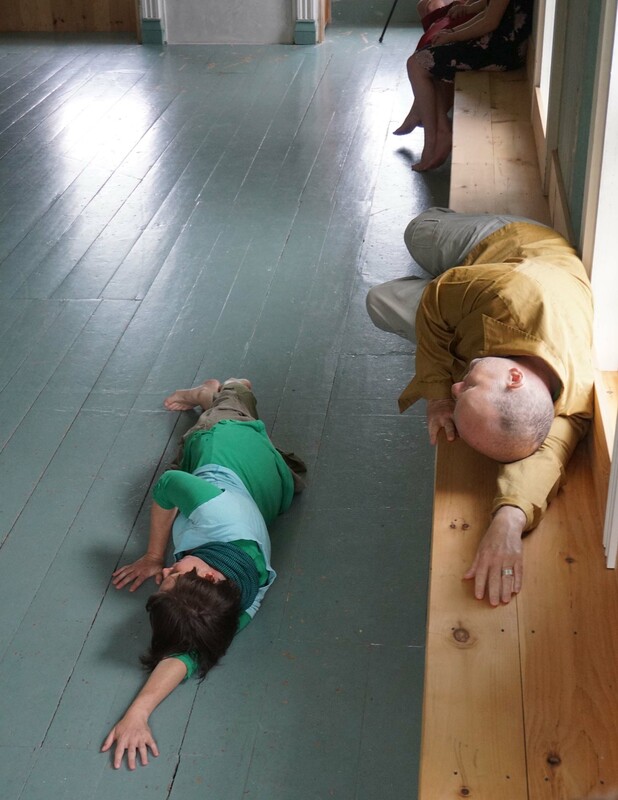 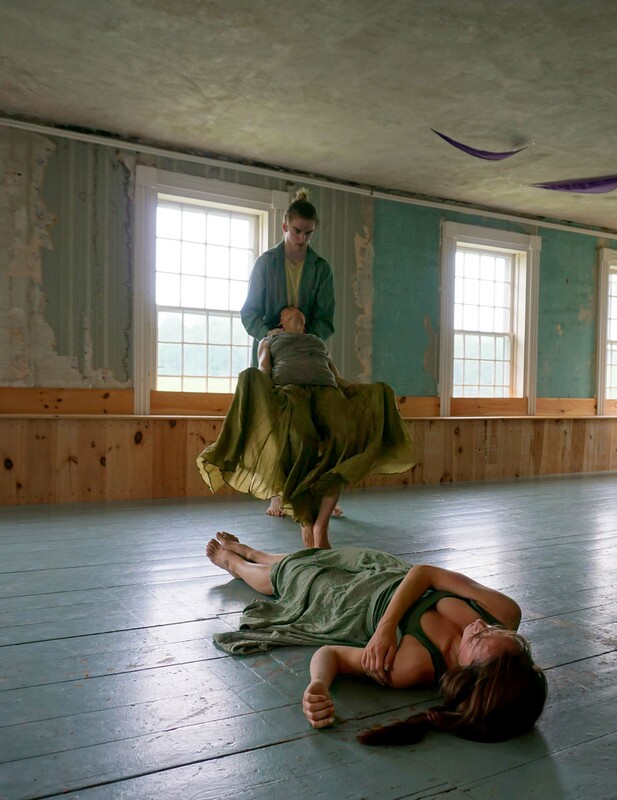 It evolved into a site-specific dance/theater installation in this unusual, stunning building created by choreographer/director Hannah Dennison, visual artist Leslie Anderson, and composer David Severance. 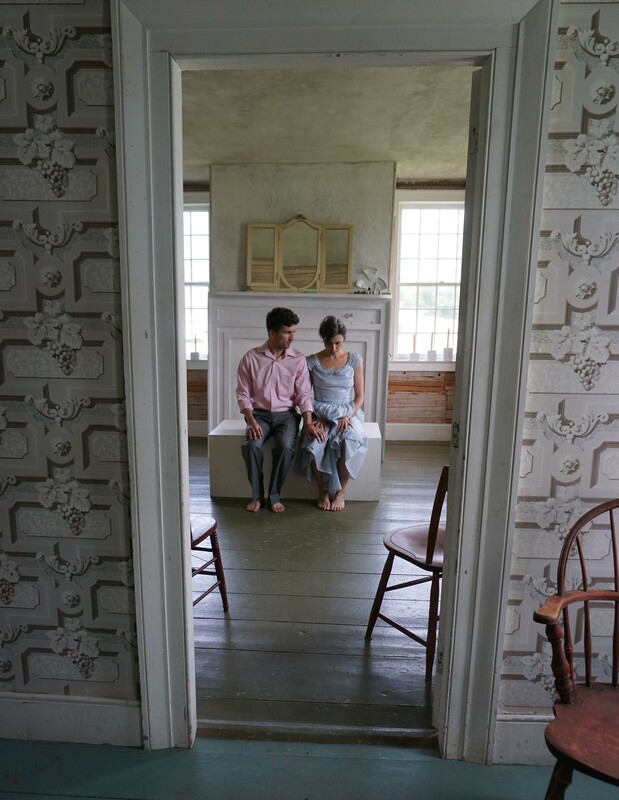 Produced by Cradle to Grave Arts in partnership with the Vermont Division for Historic Preservation which owns and maintains the Kent Museum, it was funded by The Fountain Fund (the Vermont Community Foundation), Morris and Bessie Altman Foundation, Clean Yield , Amy Tarrant Foundation, Tugley Wood Foundation, and many generous individual donors. 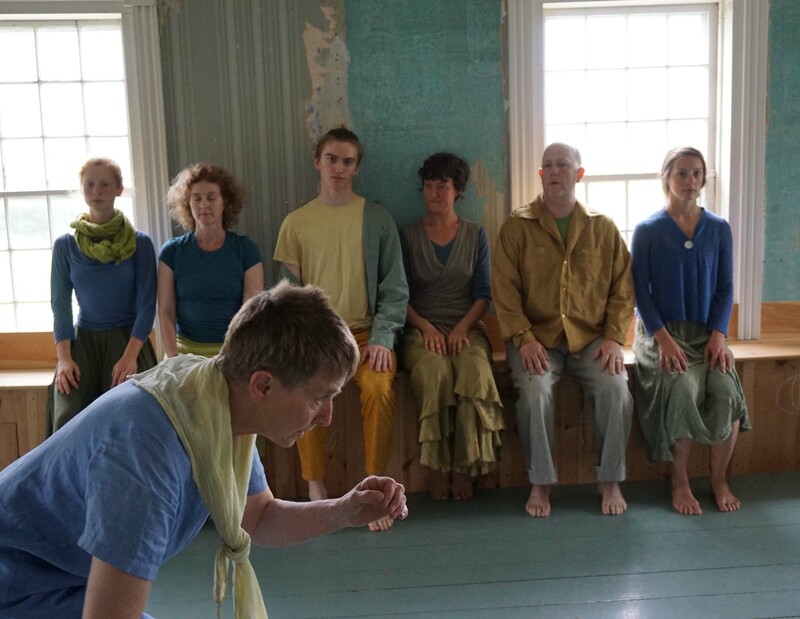 This six-day installation/performance ran from June 16 to June 21, 2015 each day from 2-8pm with a cast of twenty performers.